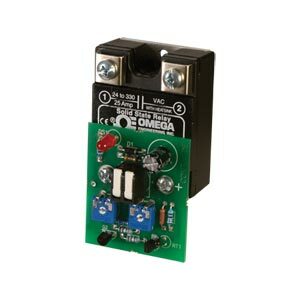 The OMEGA PCM5 Series converter is designed to convert a 4 to 20 mA signal from a process/ temperature controller or computer to a time proportional output. The modules mount directly to the input terminals on a 3 to 32 Vdc input SSR, and supports single phase 50 or 60 Hz operation. Lever clamps are provided on the converter for the 4 to 20 mA input. The SSR’s power section provides easy connection to the line and load.